How to watch Jack Reacher: Never Go Back (2016) on Netflix Mexico! 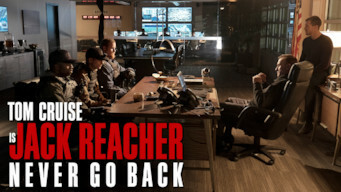 Yes, Jack Reacher: Never Go Back is now available on Mexican Netflix. It arrived for online streaming on April 14, 2019. We'll keep checking Netflix Mexico for Jack Reacher: Never Go Back, and this page will be updated with any changes. When he learns that his friend has been accused of murder, Jack Reacher suspects a vast conspiracy -- and soon finds himself on the run alongside her. A former military investigator strives to clear his friend's name, no matter what. Standing in his way: everyone.